“How did the Universe begin?” “Does it have an end?” “What is it made of?” “Why do we exist?” There are many fundamental questions about the universe since the dawn of humankind. Surprisingly, we recently found that we know only about 4% of the universe composition. 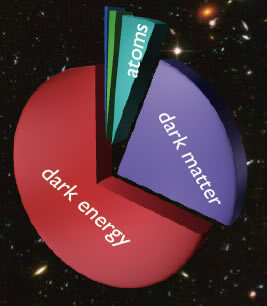 Remaining parts are made of “dark matter,” which has never been detected directly, and “dark energy,” which is much more mysterious negative pressure accelerating the expansion of the universe. 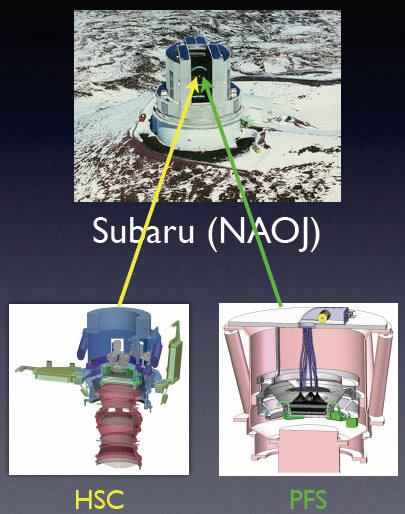 SuMIRe (Subaru Measurement of Images and Redshifts) is a project to reveal the origin and fate of the Universe by elucidating the nature of dark matter and dark energy via precision imaging using Hyper Supreme-Cam (HSC) and precision wide field spectroscopy using Prime Focus Spectrograph (PFS) on Subaru Telescope.